A magical ensemble of islands in the beautiful South Pacific, Samoa's is a spectacular destination that provides the ultimate playground for exploration and relaxation. Whether you're seeking an action packed holiday, or peaceful beach-side escape, Samoa is sure to deliver. Boasting shimmering lagoons and sun-kissed sands fringed by coconut palms, prepare to fall in love with this stunning archipelago. From Upolu to Savai'i, Samoa showcases a stunning collection of beaches boasting shimmering turqouise waters, pristine white sand and swaying coconut palms. Here you will find some of the most amazing beaches in the South Pacific. 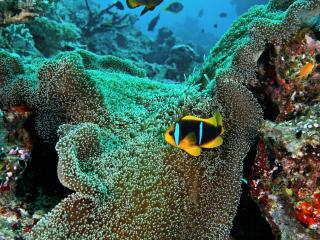 Renowned as an amazing holiday destination, Samoa is also recognised as one of the best places for big game fishing. Read on to discover the island's best fishing spots to reel in a big catch. A lush tropical paradise home to stunning natural scenery and attractions, Samoa offers some of the best surfing in the South Pacific. Known for it's powerful swell and hard hitting waves, Samoa surfing is not for the faint-hearted. Boasting spectacular market stalls with a range of handicrafts, cuisine and local produce, Samoa markets have become a very popular tourist attraction and major holiday highlight. 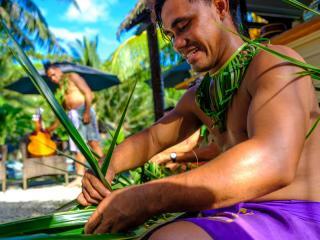 Read on to discover the top markets across Samoa. From intimate beachfront ceremonies to extravagant parties, Samoa is the picture-perfect place for a destination wedding. 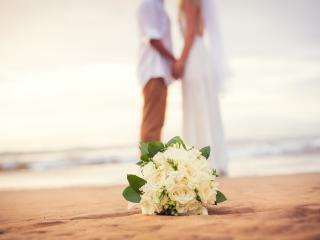 Here you will find the many wedding packages available on the islands of Samoa. Samoa's beautiful lagoons, deep water pinnacles and expansive reef passages, make it the perfect place for exploring beneath the surface. We've compiled a list of some of the island's best dive spots perfect for all skill levels.